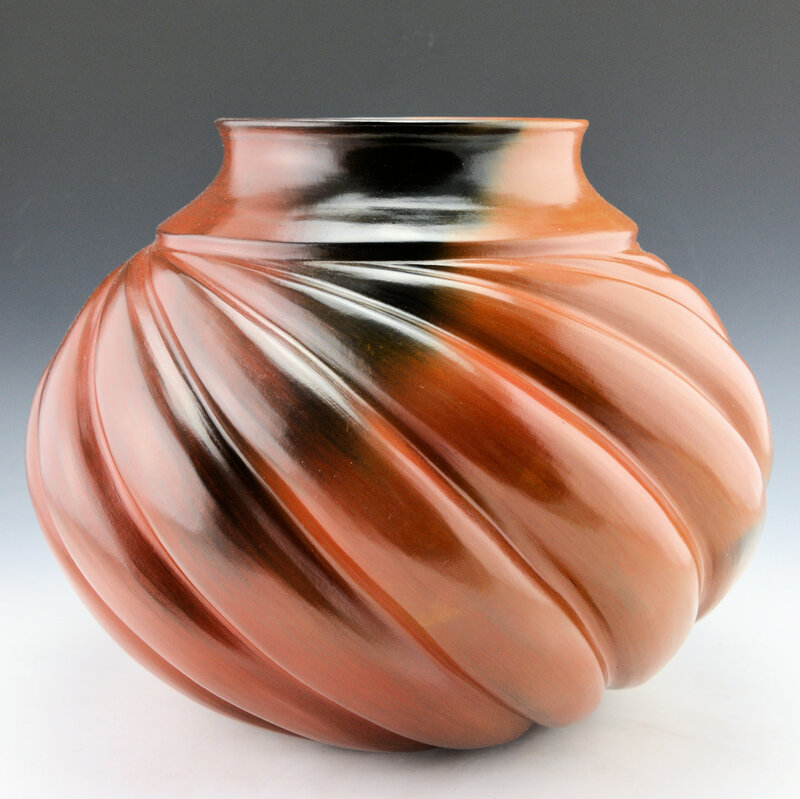 This jar by Samuel Manymules has a round, full shape with a short neck. The neck of the jar has a classic water jar appearance. The melon ribs swirl down from the neck to the base. Each rib is pushed out in the clay and there is a deep groove separating them. Note how they start narrow, then widen at the shoulder and then narrow again at the base. As well, for being pushed out in the clay (as opposed to carved), they are very even in width! 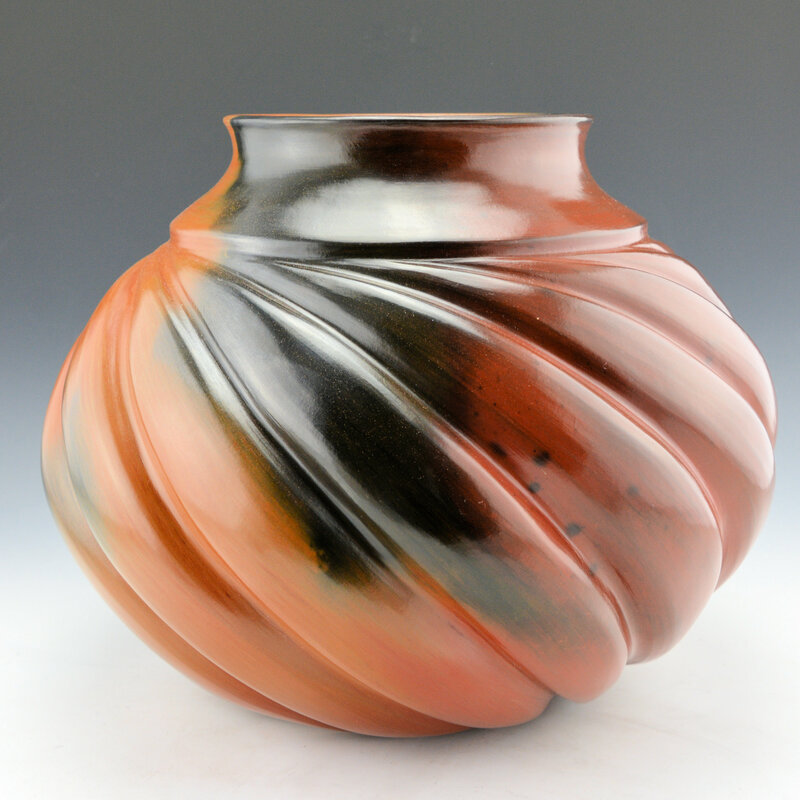 The jar is traditionally fired and the coloration is vivid! 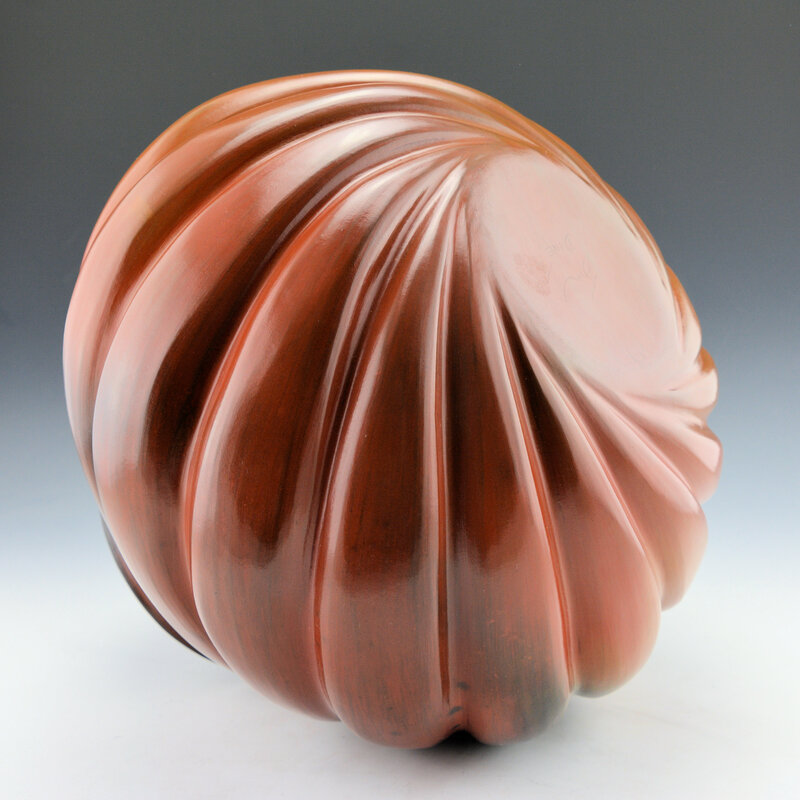 The variation of color from black to red to brown give the piece a sense of motion on the surface. The browner areas are where it was fired to a higher temperature. 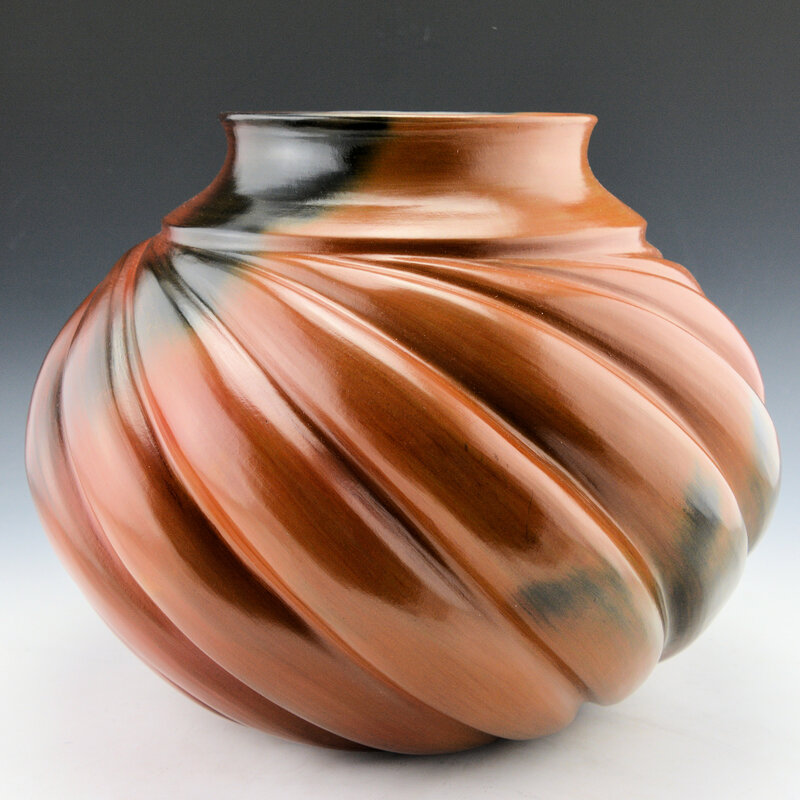 After the firing, the jar is covered with pine pitch in the traditional way expected of Navajo pottery. The jar is signed on the bottom in the clay. It is extraordinary vessels like this which keep Samuel among the top Navajo potters working today.